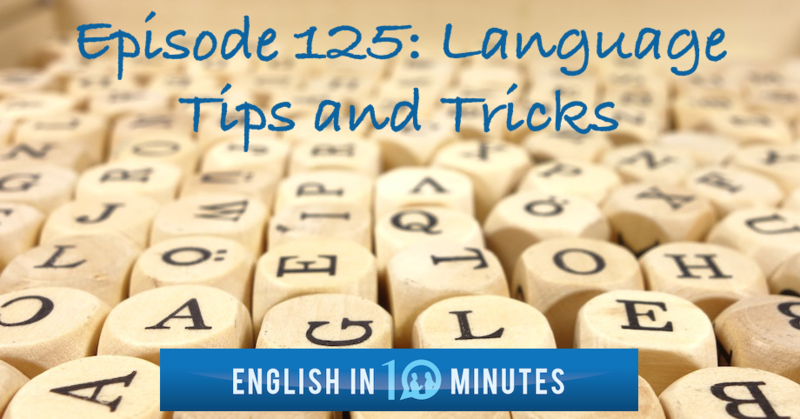 The easiest way to listen to English in 10 Minutes is to subscribe to the podcast. If you subscribe, it means that when new episodes are released, you will receive them in your feed1 without having to search for them. Being subscribed also means that you can download the episodes and listen to them offline. Apple mobile devices such as the iPhone, iPad and iPod Touch come with a built-in3 podcast application (‘app’). 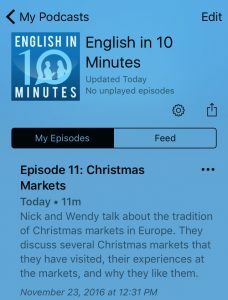 To subscribe to the podcast, either open this app and search for English in 10 Minutes, or tap4 this link on your Apple device. This will open the podcast app and show you a screen like the one on the right. From here, you can browse5 all the episodes by tapping on the Feed tab, and you can subscribe by tapping the wheel and turning on the Subscribed button. If you have an Android phone (or even if you have an iPhone or other Apple device), you might prefer to use Stitcher to listen to podcasts. You can download Stitcher from the App Store (on an Apple Device) or Google Play (on an Android device). 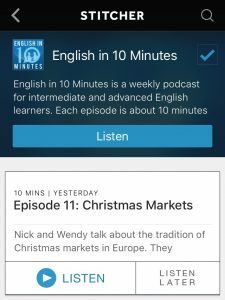 Once you have Stitcher installed on your device, tap here to go straight to English in 10 Minutes. If you check the box in the top right corner (where you see the tick sign in the image on the right), English in 10 Minutes will be added to your Favourites Playlist. Then when a new episode becomes available, you will see it when you open Stitcher on your device. There are many other podcast apps available on Android. If you have one of these apps installed, just tap this link and English in 10 Minutes will open in that app. Google Play Music now supports podcasts, but currently (November 2016) only in the United States and Canada. Hopefully podcasts will become available on Google Play Music worldwide so those outside North America will be able to subscribe and listen to English in 10 Minutes this way too.